There is no better luxury vehicle company in Tampa than Limos Tampa. We are the best when it comes to premium quality transportation in the Tampa area, for the most affordable rates in the city. Whether you're looking for simple luxury airport transportation, or perhaps a golf outing, or a luxurious ride for you and your guests on your wedding day, or maybe a night bar and club hopping, our incredible and diverse fleet of vehicles is sure to find one that will fit both your party, and your budget. Our customer service representatives are sure to be able to help you make your event unforgettable. We know all of the city's hottest locations and all the best routs to get there. And believe us when we say that you could not be in a better location in terms of special destinations to check out. 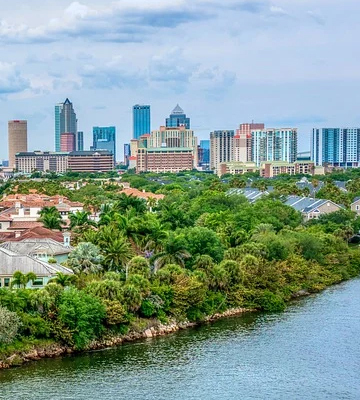 You are not going to want to miss visiting places like Busch Gardens, the Museum of Science and Industry, the Tampa Riverwalk and the Straz Center for the Performing Arts. Our service will ensure that the party never ends. We guarantee you the very best service for the very best price. Limos Tampa has the hottest vehicles in Florida, and we make sure that each and every vehicle is amazing from start to finish. In our smaller cars, you'll find all the luxuries of a quiet comfortable ride, whether its our Lincolns, or our Cadillacs, you'll find that our unmatched quality of vehicles will have you begging for more. Our buses all come standard equipped with televisions, and loud sound systems, as well as bars, to really help gt your party going! To learn more about our fleet, checkout the fleet page, and give us a call to schedule an appointment to see our complete fleet and to choose which vehicle you want for your big event. And we will continue to make sure our entire fleet is always in tip top shape. There is a number of ways that we do this. For one, we have certified mechanics on staff who regularly inspect and maintain each and every vehicle. This ensures that our fleet is always road worthy and that our customers will never have to worry about being stranded by the side of the road or not making it to their destinations. We also hire professional detailers who meticulously clean every inch of each interior between uses. Then, of course, we have to mention our exceptional drivers. We only hire certified and experienced drivers who know the area roads very well and who also have GPS with them at all times. You will be happy to know that you have come to the right place to learn about what we do. We recommend that you peruse our entire website and have a notepad and pen handy while you do. If you have questions that come up, jot them down for future reference. When you feel like you have learned all you can here, feel free to contact our friendly and knowledgeable customer service representatives. Our agents absolutely love talking about what we do and they will be more than happy to talk with you about what you have read here and answer any questions that you might have. We promise you that you will never be pressured into making any kind of decision. We only want to provide you what you are asking for. If you want to talk for an hour about what we can do for you, we will patiently talk for as long as you need. If you feel like you would like to move forward, one of our agents will be more than happy to walk you through the easy and painless booking process. Our representatives are available 24/7, 365 days a year for your convenience. We look forward to hearing from you soon and to bringing you the most awesome vehicle and service you could ever dream about. Professional Tampa Party Bus Chauffeurs, helpful staff, and even a hostess for the buses is available. We believe in treating our customers like family. An incredible diversity of vehicles, we're sure you'll find one that's perfect for your occasion. And the features we have installed will blow you away as the party will never end. With personalized quotes, and complete transparency, we offer great service at affordable rates. Talk to us about ways to save. No company will give you the same quality of service for the same low costs as we can. 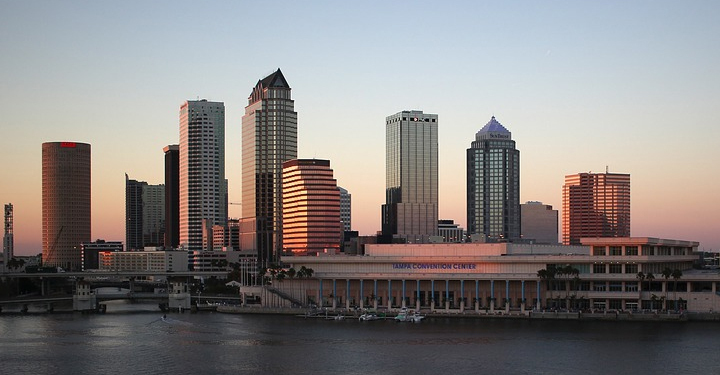 We offer more luxury and comfort, as well as a far more diverse fleet, than any other company in Tampa. Our eager and willing staff care about making sure that you have a great time. We want you to have the most unforgettable experience when you book a vehicle through us. With our exciting features, and state of the art technology, it is no wonder that so many people look for excuses to book one of our vehicles again. Our great chauffeurs also insure that you are always happy and entertained. We want you to only have one thing on your mind when you've finished your trip with us. “That was amazing, when can I do it all over again?” And that is fine by us as our goal is to build long lasting relationships. We look forward to hearing from you soon and to talking to you about your plans and how we can satisfy them.